The real estate game is changing. Technology is an exciting but maybe slightly intimidating tool as it continues to evolve. In the real estate business, it really is changing the way real estate agents can operate. Not that the old school methods are ineffective, but it’s important for agents in today’s industry to at least experiment and try all of the tools at their disposal to see what will work best for them. One tool in particular you should look at: augmented reality tours. Show the home from a distance! 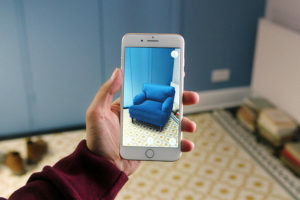 Augmented reality is an awesome tool that lets you show a home without actually going to it. You can do cool stuff like rearranging furniture on the 3D model and show a buyer or seller the home like they’ve never seen it before. But it can definitely be a bit intimidating for anyone who hasn’t used it before. Check out these awesome tips from the folks over at Inman.com as they show you the ropes on how to master AR. That second tip really shows you the tricks of the trade!